Hula is so much more than pretty music and movement. For Hawaiians, Hula is Life. It honors the Sacred: Nature, the Hawaiian Gods and Goddesses, the trials, tribulations and joys of life. Hula is fundamental to the Hawaiian community to connect and celebrate their rich oral history. Prior to western contact, ancient Hawaiians did not have a written language. Their history was chronicled through their chants. These chants were memorized and passed down from generation to generation. Hula tells these stories through dance. We will celebrate with hula kahiko, ancient hula accompanied by master chanter, Kumu Hula June Kaililani Tanoue, and hula auwana, modern hula with mele (song). We will end with the debut of a brand new hula, choreographed just for this special occasion. Fragrant, handmade plumeria leis (blossoms fresh from Molokai) will be available for purchase. 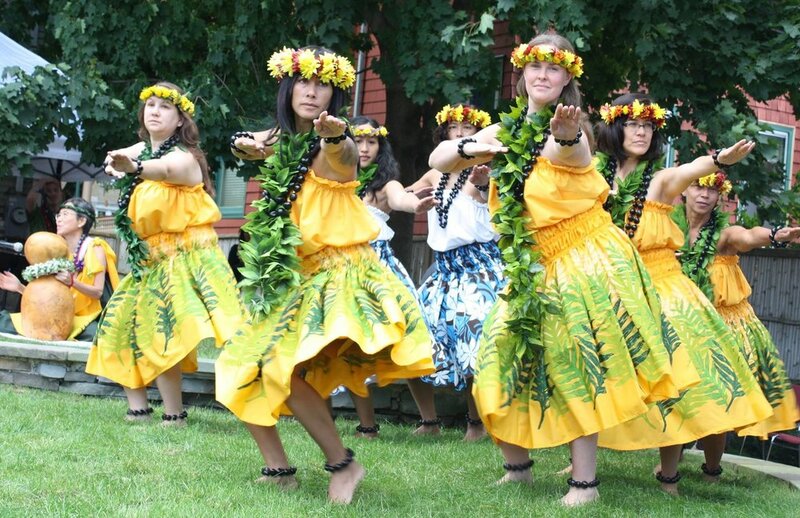 After the performance, refreshments will be served at the new home of Halau I Ka Pono, 46 Lake Street in Oak Park. E Komo Mai (join us) for an unforgettable Hawaiian afternoon! Tickets are $25 general admission, $20 for UTRF or Halau members, $10 for children 12 and under. Click HERE to purchase tickets.